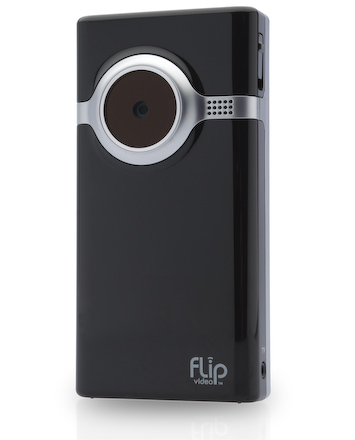 our hod made the decision to spend some of our budget last year on 15 flip video cameras (yay!). i am in charge of tomorrow's pd session, seeing as i'm the only one who has used one. i bought my own at the 2009 ulearn conference in christchurch. best buy ever! however, i didn't want to remake the wheel for pd, so i've spend this afternoon doing some 'net research ... and what i've found is that there is room for discovery in secondary english. this may be exactly what i've been waiting for since moving to nz - a new opportunity to conduct research and present findings, something i did in my old life as a university lecturer in the states. i'm happy about that. in the meantime, i'd love to hear from other secondary teachers, specifically english, but not necessarily, as video is well advanced in other departments (and may get the pe dept to buy their own cameras instead of stealing ours - yes, this resulted in a new locked cupboard! not that we don't want to share, but they don't sign out or return!). in my desire to integrate tech into the classroom, i've really enjoyed the sharing of ideas across the disciplines as well as from the primary/intermediate areas - just about any idea can be extrapolated into the secondary/english classroom with some thought. student-created video for their blogs, re "how i have found my first year of high school" where they reflected on their hopes and fears at the beginning of the year, and contrasted them with the realities they experienced. more student video for responding to texts - video book reports, feedback, critique, etc. NCEA level 1 speeches recorded via flip video - this makes external moderation at the end of the year so much easier! each video clip is saved under the student's name, with mark, for easy collating onto a video DVD for NZQA. staff that do not have to put together external moderation have NO IDEA how time consuming it is to go through their unconverted, unlabelled videos! i get 1 hour a week to do my job, and just putting together last year's moderation took 8 hours. that's 2 months of my paid time, for one tiny job that next year can be done with ease in about 10 minutes. these are some of the ideas i came up with, and i'm not a horribly creative thinker. so for pd i'm going to utilise both richard bryne's post Many Ways to Use Flip Video in the Classroom (you'll know richard from Free Technology for Teachers) and tom barrett's 43 Interesting Ways to Use your Pocket Video Camera in the Classroom (you know tom from his edte.ch blog), a collaborative ppt created by teachers and published under Creative Commons in Google Docs. this year i am hoping to have my junior students utilise the flip videos and their own cell phones, but thus far, a lot of stuff if blocked again this year for students (i'm talking access [uploading the video] and editing), and that's fodder for another post. Just responded to your comment on my Twitter post. I am also working on a flip camera project. what a coincidence. going to video my kids doing their Reading Workshop. Love this PLN thing--so many like minded people. You can email me directly--would love to hear about your progress. I am also using Rich's site for help on using the fiip! thanks! i am currently videoing my year 11 speeches. it's a requirement for NCEA (our ed system), and the automatic .avi makes my life sooooo much easier!